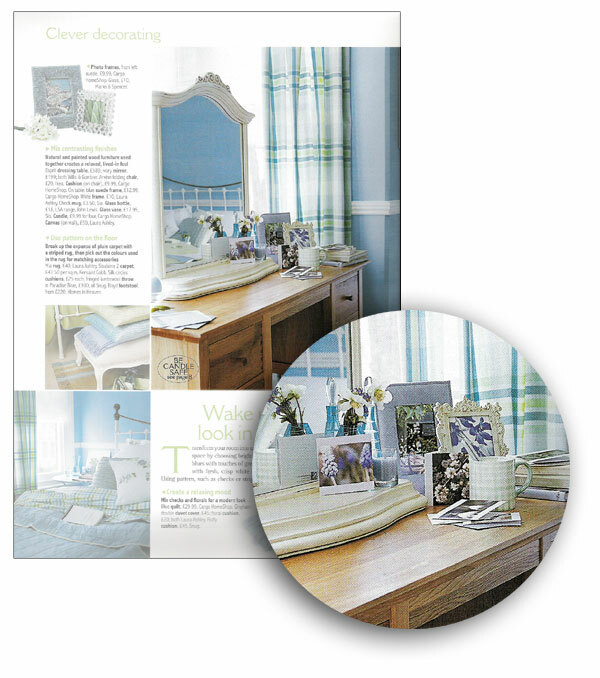 We were recently featured in the June 2004 edition of Ideal Home magazine. So if you’re wondering who made those lovely cards sitting on the dressing table on page 28, it’s us! Here’s a scan of the feature. Cards featured include Grape Hyacinth, Blossom and Mum’s Garden.